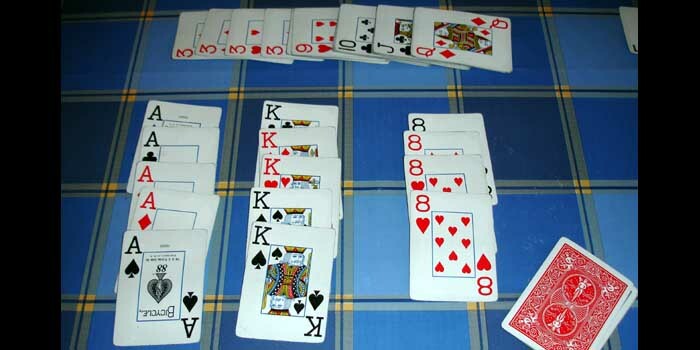 My grandmother taught me the Canasta game when I was only 10 years old. It's been a family tradition as long as I can remember. So, when nice grandmothers play games with their grandkids, they usually let them win, right? Well, my grandmother came from a different line of thinking, because she would put on her game face, and play with no mercy. And, I guess that's why I like this game so much. I taught Hanne how to play, and now we can't seem to get enough of the game. Sometimes, when one of us can't sleep, we'll play until we get tired. Since my grandmother's technique worked well for teaching me the game, I figured that I'd use the same strategy in teaching Hanne. Now I have another opponent to spar with, and mercy is not an option!